Anyways, it's time for another #happy post. Last night my work got a little bit of traffic, and we somehow survived and only had a few minor outages which weren't noticable on the client side. Our CDN wrote about it. This whole thing makes me pretty happy, but boy am I ready for this election to be over. 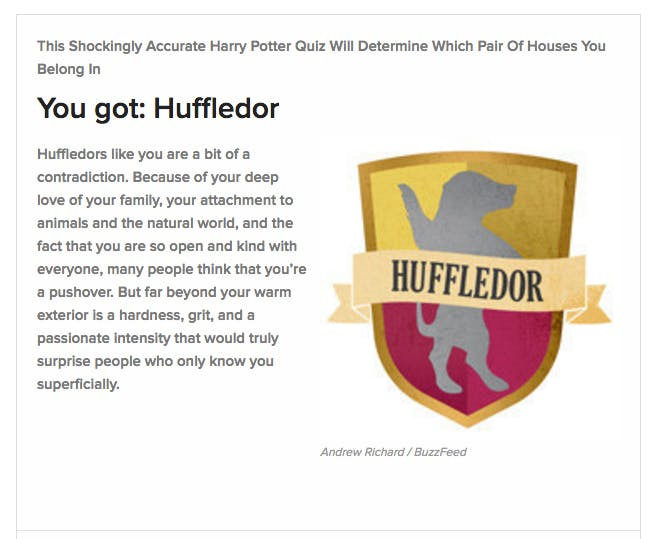 I've been pretty worn out recently, so when @mel_cantrell sent me "This Shockingly Accurate Harry Potter Quiz Will Determine Which Pair Of Houses You Belong In" on buzzfeed, I enjoyed the stupidity of it all. Please evaluate my sanity at the level of "I am taking Buzzfeed Questionnaires". Snapchat's Spectacles actually sound kind of cool. I kind of wish they could get to the point of PS4 video shares, where you push the button after the thing happens, and it just saves the last five minutes of video. I've been reading through random parts of John Carmack’s .plan files, which is weird. @docmollo sent me Live Jelly Cam in HD, which has been great now that #bearcam has been shut off. The rest of my news has apparently been me liking tweets about politics... which I have mixed feelings on. I've started watching Star Wars Rebels which has been ok. I hope everyone has a great week. Don't forget to register to vote. Here's another post in my continuing series on what's making me #happy.